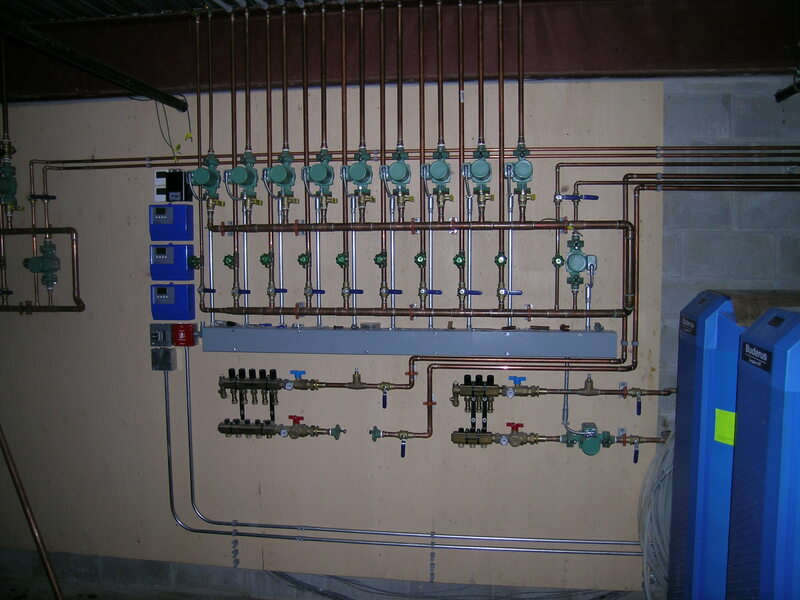 To the right is some board work for a commercial radiant heating project we did. In the photo on the left hand side you will see some blue boxes. These blue boxes are the secret to success in fuel savings. We have been installing Building Automation controls such as this for over a decade now. These controls are networked together with the thermostats. Centralized processors optimize the settings. Modern Building Automation has the ability to connect to the Internet. From a remote location we can do trending and data logging to fine turn the system for further fuel savings. Alarms can alert us of problems in the system. Problems can be handled before they get worse and cause further damage.